This is a nice start on rethinking the so called big bang. In my conceptualization the act of creation naturally creates the necessary space time universe starting out as a single event. That event imposes time and space. From that I can produce the rest naturally with no further assumptions at all. I am able to successfully model the first pixel and show mathematically its form and its imposed metric. The creation of the first pixel naturally leads to a pixel dense expansion at light speed that ultimately decays into the observed universe. It is a natural geometric progression from boundedness. In the meantime this is a great start down the right road, except their mathematical forms will be clumsy. I also wish we could stop using the word cooling or even expansion and contraction since they will be equivalent because no dimensionality is imposed external to the universe. The theory of quantum graphity aims to show that, like ice, the universe contains structural cracks in it that are created from a cooling process, not an explosive one. Melbourne researchers believe they may be on the brink of rewriting the history of the universe. A paper being published in a US physics journal suggests it may be possible to view "cracks" in the universe that would support the theory of quantum graphity - considered to be the holy grail of physics. The team of researchers from the University of Melbourne and RMIT say that, instead of thinking of the start of the universe as being a big bang, we should imagine it as a cooling of water into ice. "Think of the early universe as being like a liquid," Melbourne University theoretical physics researcher James Quach said. "Then as the universe cools, it 'crystalises'. "The reason we use the water analogy is water is without form. "In the beginning there wasn't even space, space did not exist because there was no form." Their research rests on a school of thought that has emerged recently to suggest space is made of indivisible building blocks, such as atoms, that can be thought of as similar to pixels that make up images on a computer screen. Mr Quach said the standing model for the origins of the universe, the big bang, needed to be rewritten. He hoped experimentalists would be able to find evidence to support the theory put forward by the Melbourne team of researchers, that would replace it. 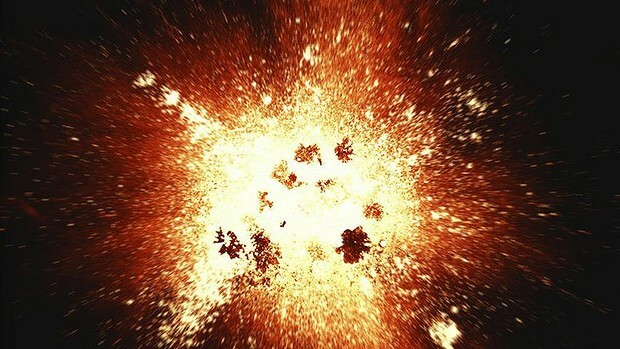 "The biggest problem with the big bang model is the bang itself," Mr Quach said. "At the bang, physics breaks down. "The model cannot make any predictions at what occurs at the big bang. You can't use any of the mathematics [or] any of the theories." Mr Quach and his fellow researchers theorise that if quantum graphity "cracks" do exist, they will bend or reflect light, which, if observed through a telescope would support their predictions. "If they prove my predictions that's really good evidence for the condensed matter model of quantum graphity in which case you can throw out all the other attempts." Hey..!!! i read your article. seems to be very interesting. I find it very helpful. thank you for sharing.